There’s a secret to creating the BEST mule cocktail you’ve ever had. I learned about it from the Soho House and once you make it with this, you will know why!! A mule should be full of strong ginger and spice flavor, which sometimes ginger beer can’t do alone! Making the mule with a strong ginger simple syrup is key and to make the ginger syrup really strong you have to use ginger juice instead of water! Or this pre-made ginger syrup is AMAZING too! It’s honestly so good. I can tell every time I go to a restaurant if they use ginger beer or ginger syrup! It makes that much of a difference! 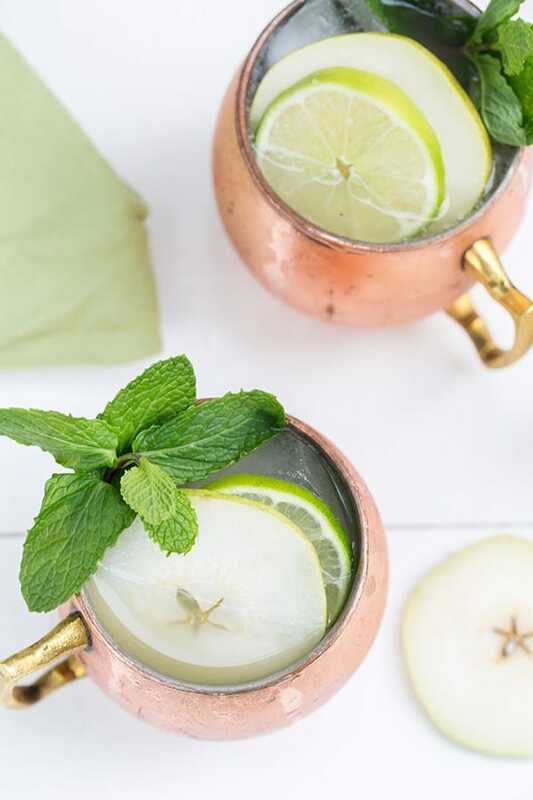 For this Pear Irish Mule we used pear puree and whiskey, which totally compliment the ginger! I actually love whiskey in a Mule… if you haven’t had it, try it!! And to celebrate Saint Patrick’s Day, we’ve teamed up with some of my favorite bloggers who are sharing festive and fun drinks for Saint Patrick’s Day entertaining!! Click on each photo to take you to the recipe!! CHEERS! Stir all of the ingredients together in a copper mug. Top with a lot of ice and garnish with pear, mint and lime. Bring the ingredients to a soft boil over medium heat. Once the sugar is melted, let the syrup simmer for 15 minutes on low. Remove from the stove and let it cool to room temperature before straining and removing the chunks of ginger! Puree in a food processor until smooth and more of a liquid texture. YUM! 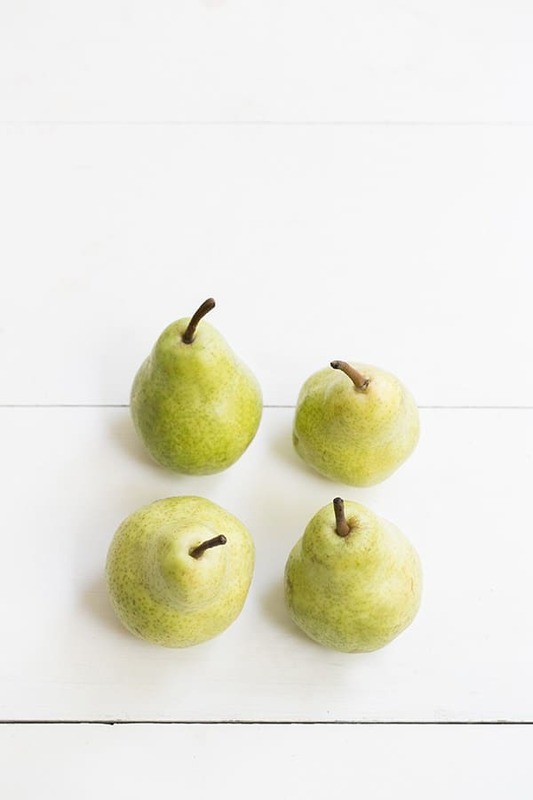 I love pear and it’s the perfect touch of green for St. Patrick’s Day! Love it! Try it with ginger juice!!!! It’s BEYONE good!!!! You’ll love the ginger juice Marie!! It’s SOOOO good!!!! I am SO with you on the love of ginger! Ginger syrup AND ginger beer together. With pear. Perfection!